Last week’s trend of tepid mid-season finales continued with the late week shows and into this week as several more genre entries delivered lackluster numbers with their Fall exits. 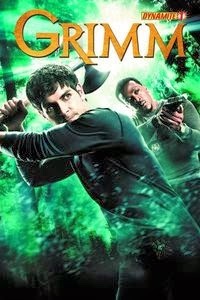 Grimm had its two hour finale the last Friday and only averaged a 1.2 rating in the 18-49 demographic with 4.9 million total viewers (based on the final numbers). That’s a season low for the show and I believe it also matches its series low. Still, this one has been up and down this year and I expect it to rebound when it resumes with new episodes in January. Also on Friday, The Neighbors remained low with a 0.9 score and just over four million total viewers. It is currently on the schedule to air the remaining installments of its thirteen episode order in January, but don’t expect any more beyond that. Over on Syfy, Haven wrapped up its fourth season with another 0.4 score and 1.3 million total viewers. The waiting game is on now for fans of that show to find out if Syfy will bring it back for a fifth season, but the prognosis does not look good at this point. And on The CW, Nikita continued to barely register as it pulled only a 0.2 rating with 650k total viewers. That show will have its series finale in next week on December 27th. On Sunday, Once Upon A Time did not excite too many viewers with its Fall finale, matching its season low of a 1.9 rating in the 18-49 demo with 6.4 million total viewers. And it can’t claim to have done comparatively well for the night as the FOX animated shows and the Survivor finale stomped on it in the 8 PM EST hour. It now has a three month hiatus in front of it before it returns in March, but I expect it to rebound a bit at that point. Over on Lifetime, The Witches of East End improved slightly to a 0.6 rating with 1.7 million total viewers. That show still has a few more episodes left for its first year (and it has already been renewed for a second season) and I expect those will show up some time in January or early February. On Monday night, FOX’s Almost Human dropped to a new low of a 1.6 rating with 5.3 million total viewers. That one has to hope for a quick upsurge in its numbers when it resumes in January otherwise it may find itself quickly booted from the schedule. On Tuesday, a stray episode of Person of Interest showed up and matched its season low with a 1.9 rating in the 18-49 demo and 12.1 million total viewers (based on the preliminaries). I’m guessing a lot of people assumed the November 26th episode was the Fall finale and didn’t expect a new ep in the middle of December. This show only has a two week break before it resumes on January 7th, and it’s still pulling huge numbers in total viewers, so it is safe for now. That wraps up the ratings for the Fall shows with the exception of the last two episodes of The CW’s Nikita. But new episodes will start showing up already the first week of January (you can see the full run down at this link), so keep an eye on this site and the Cancellation Watch Twitter Site for the early mid-season numbers. I will be posting a Fall wrap-up column shortly as well as the full mid-season schedule and the all-new Cancellation Watch Power Rankings. So enjoy your holidays now, but be ready for a new onslaught of numbers and cancellation predictions in short order.